Our latest HO scale store display layout came to us in early 2010 after touring European train shows and the German Toy Fair for 2 years with Brawa. The layout was built in Germany by well-known modeler Karl Gebel as an automated display layout for Brawa. Two trains can run automatically using a combination of Digital Command Control (DCC), reed switches, relays & signals. 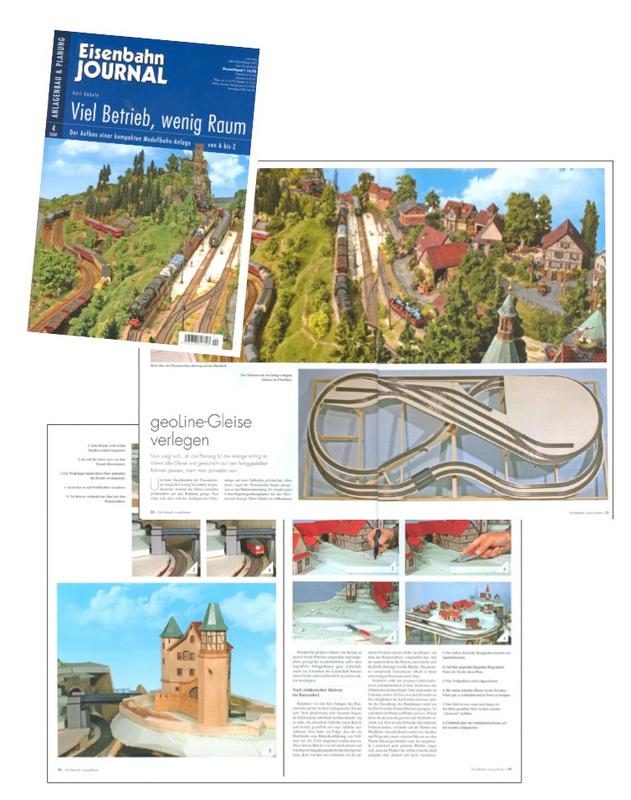 The layout has been featured in a number of German model railroad magazines and its construction is the subject of the how-to book, ‘Viel betrieb, wenig raum’ (Lots of action, small space), from Eisenbahn Journal magazine. And of course we stock all the track, structures, details and scenery products to build this layout yourself. If you see any element you like, just ask us and we can assist you in picking out the products to replicate it in your own home.